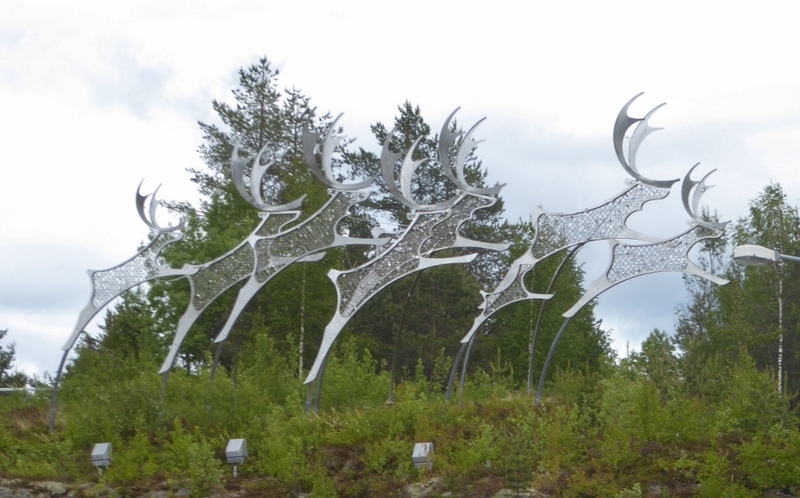 On the top of a rocky outcrop, facing the airport, are eight stylized reindeer. There are seven large ones and one small calf against the leg of the second reindeer from the right. The statues are made of metal mesh, outlined in solid metal and using solid metal for the antlers.